Welcome to the March Weekly listings and promotions thread! Early post as I’m off for the second day of my craft fair - had a very good day yesterday, and have my fingers crossed for today! Hi I’m a full time worker and only get to come on here at the weekends so would love something like this. Here is one of my latest pieces of small art work, this one is called Blazing Glory. I name all my pendants as they are all individual and have their own personality. Hope to meet a few more of you and discover what you do. Bye for now. 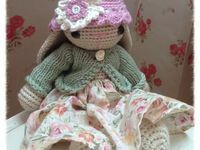 Hello, I loved the above item on Folksy and shared it on Facebook, Twitter and Google +. Here is mine, a set of coasters that has sold last week and re-listed :). Iv liked all the above on folksy as well as sharing with my local craft group and on my WhatsApp group too. Here’s mine for today. I’m off to sort afew things in my shop. A cute pack of easter cards. The design is printed and then hand embellished, finished with a little ribbon loop. The cards measure 12.5cm square they come with a white envelope and wrapped in a cello bag for protection. Evening - hope everyone has had some sunshine today. Must admit there is Alot of us. It started out with just me and one other on WhatsApp a girl iv known for years. Then slowly we have dragged all our friends into our crafty world. It’s great. Most ppl call us weird cos of it. And we each have our different crafts we do. Late start for me this week…inset day Monday, so went shopping with my youngest!! Plus I only post Mon, Wed and Fri because it takes me so long!!! Hope everyone is ok ?? Hi. Icing Cupcake toppers & cake decorations from me today - all handmade and 100% edible! A set of 12 x edible icing Super Mario Bros theme cupcake toppers - perfect finishing touches for your home bakes! All decorations are homemade from fondant icing. More to come from my shop!